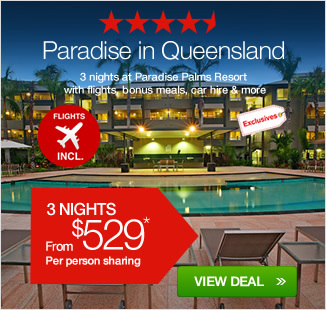 3 or 5 nights at 4.5 star Paradise Palms Resort with flights, bonus meals, breakfast, car hire & more! 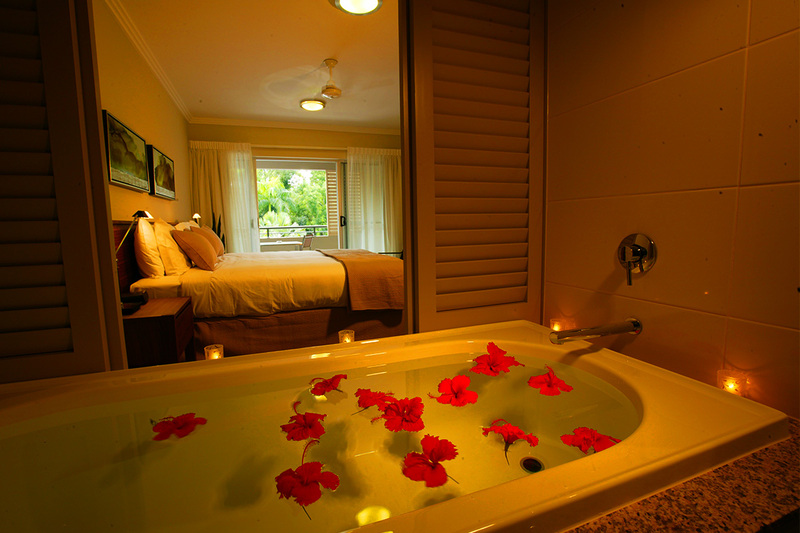 Picture-perfectly situated between World Heritage Rainforest and the world-renowned Great Barrier Reef sits the world-class Paradise Palms Resort in the heart of Tropical North Queensland. 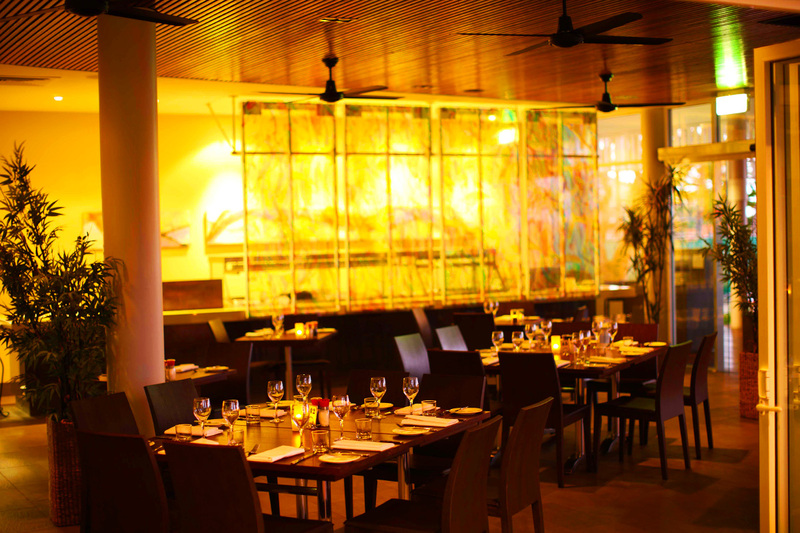 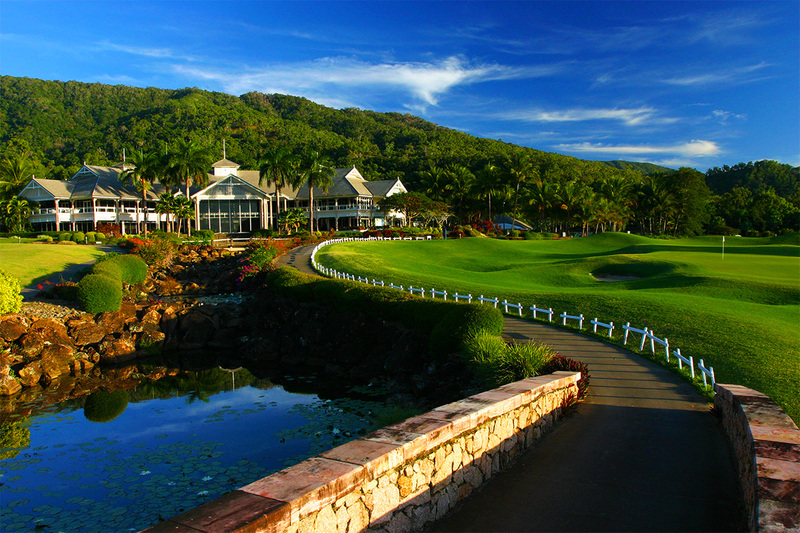 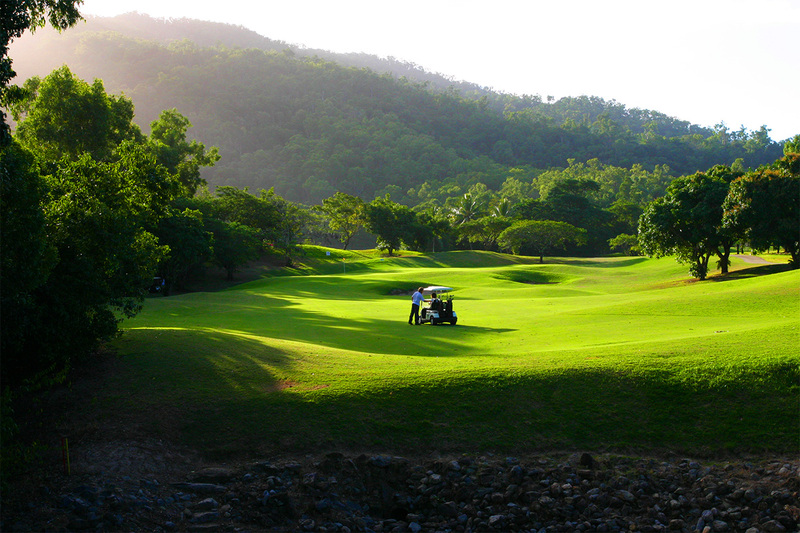 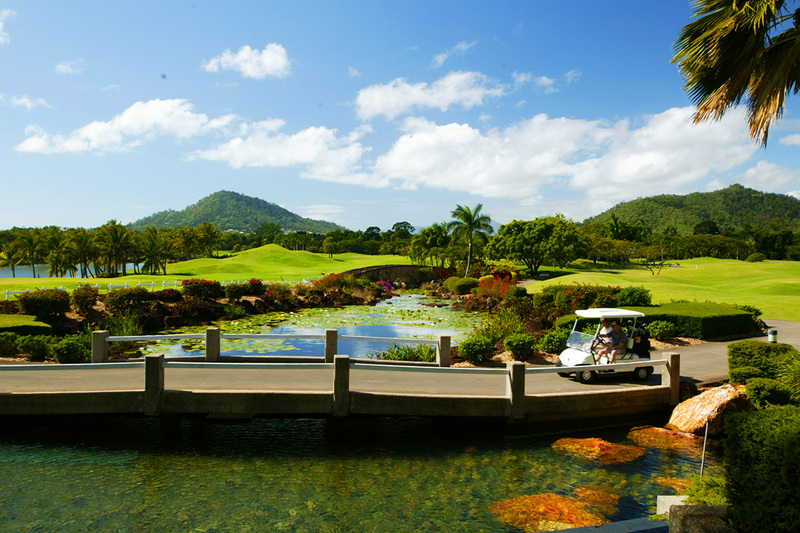 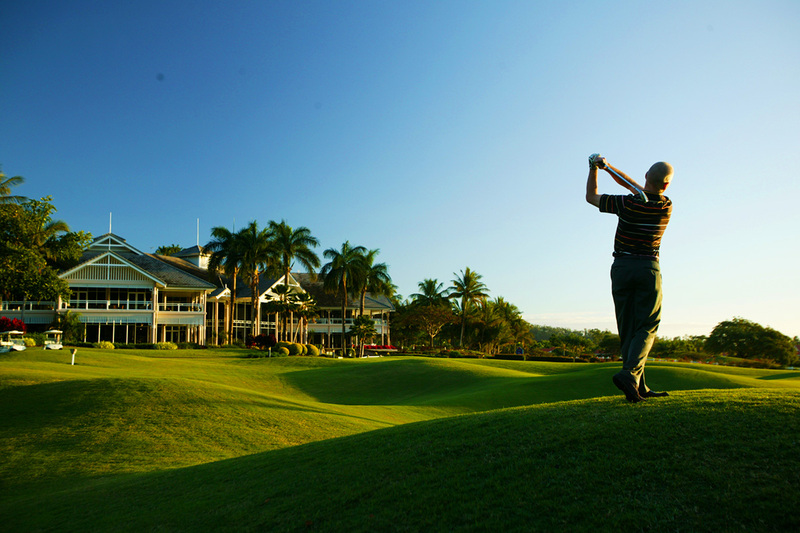 Located just 20 minutes north of Cairns, the resort boasts superior 4.5 star luxury and offers a spectacular golf course, exquisite onsite restaurant with bar and luxurious accommodation for even the most discerning of guests. 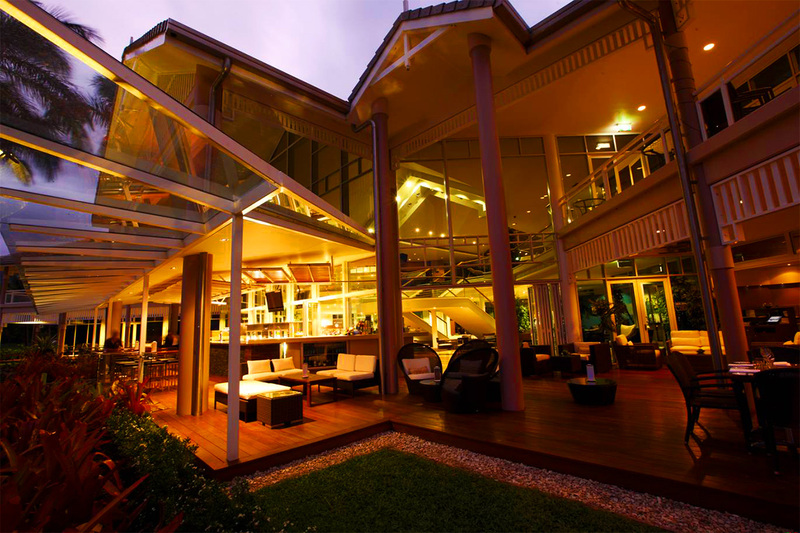 Your package includes return economy airfares, daily breakfasts, bonus dinner, car hire, late check-out and more! 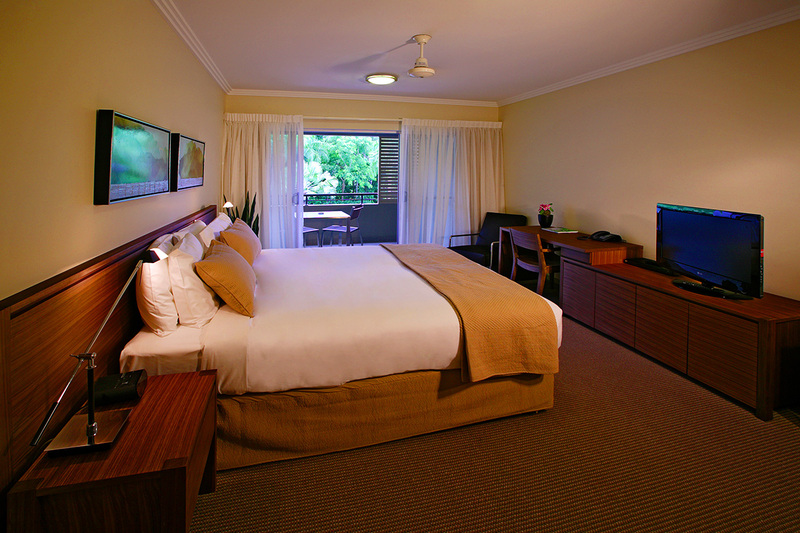 The Resort Room offers spacious, comfortable living and a private balcony. 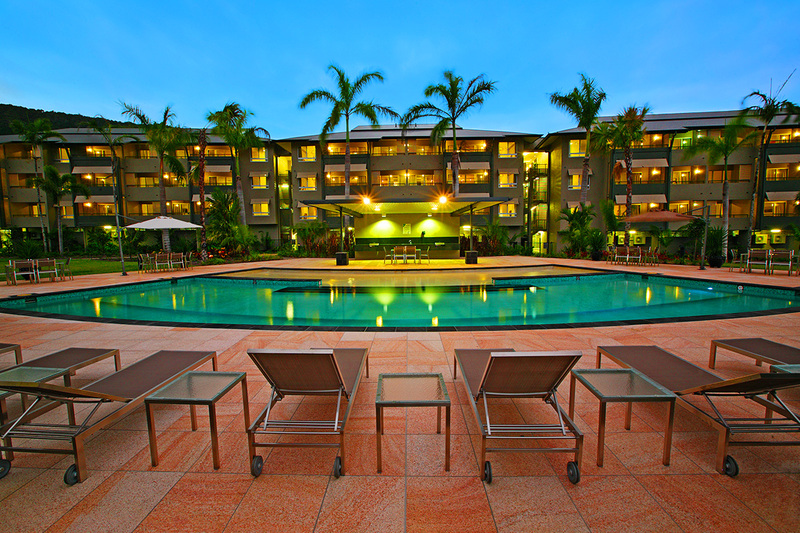 The 2 Bedroom Apartment offers a full kitchen, balcony and 2 bathrooms. 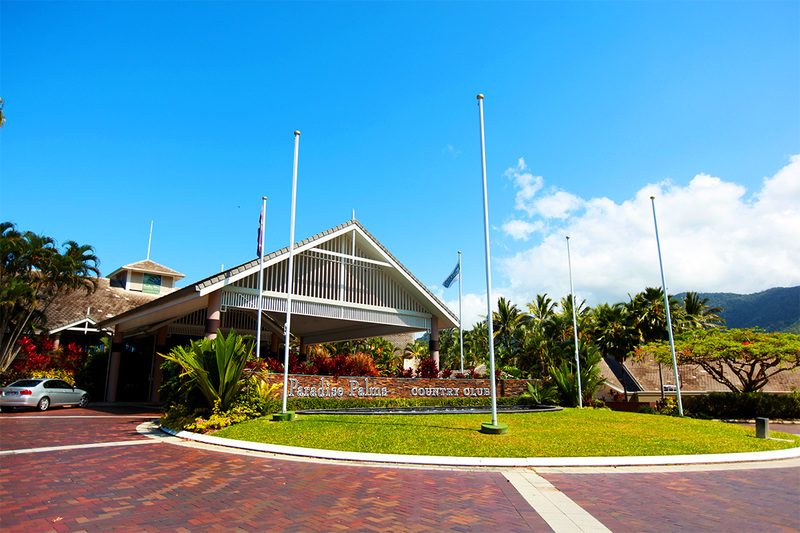 Car Hire: this is arranged from Cairns airport and also includes pick up and drop off transfers to the airport terminal. 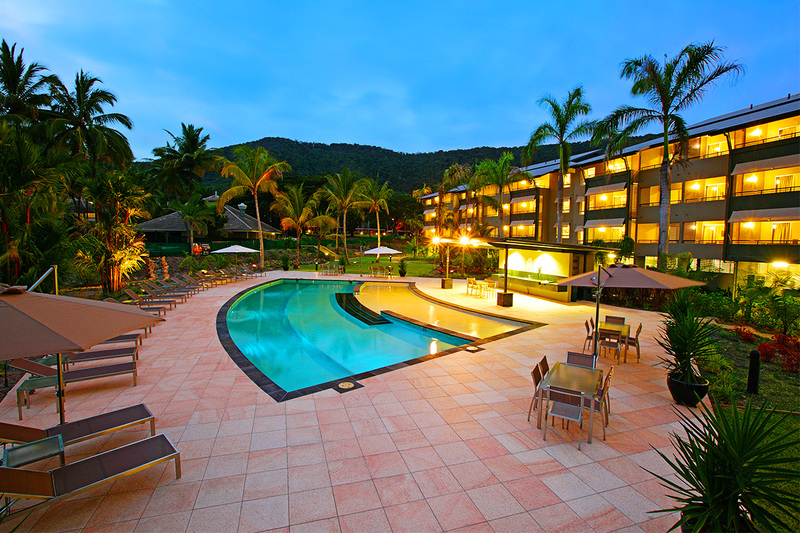 Picture-perfectly situated between World Heritage Rainforest and the world-renowned Great Barrier Reef sits the world-class Paradise Palms Resort in the heart of Tropical North Queensland. 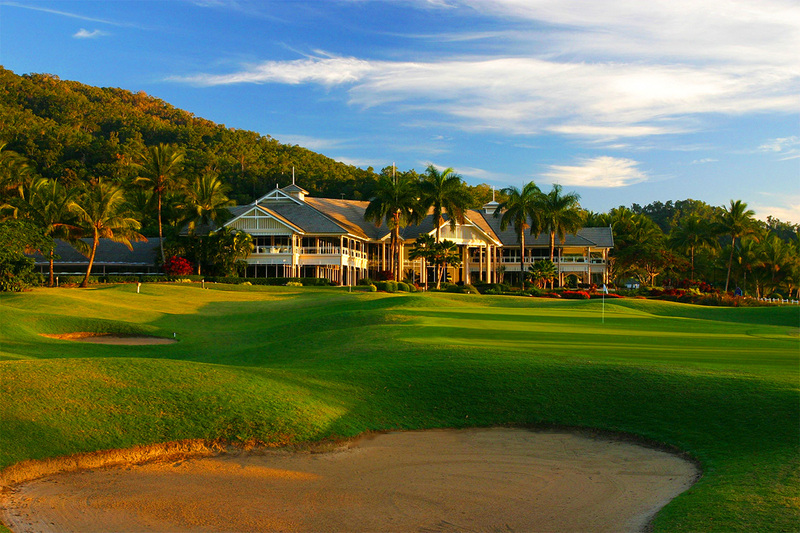 Located just 20 minutes north of Cairns, the resort boasts superior 4.5 star luxury and offers a spectacular golf course, exquisite onsite restaurant with bar and luxurious accommodation for even the most discerning of guests. 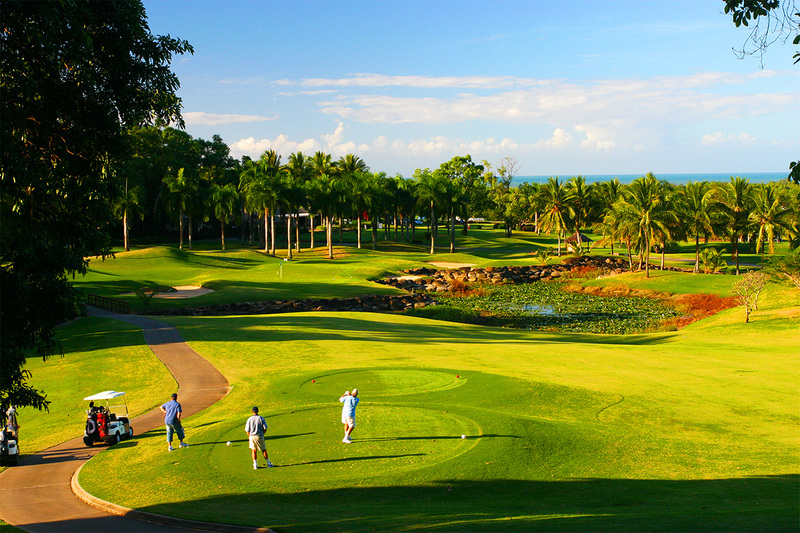 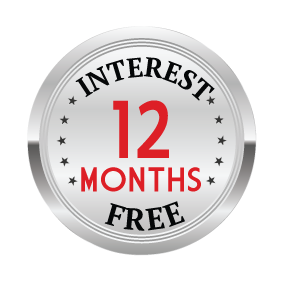 Your package includes return economy airfares, daily breakfasts, bonus dinner, free rounds of golf with electric golf cart use, late check-out and more!